I just love tea parties. There I place in my town that does an awesome job of tea parties. I have been there many times with my friends. 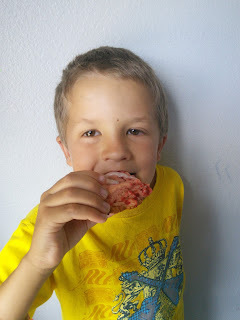 The place serves tea and yummy finger foods. My favorite finger food that they serve is scones. They serve these delicious moist scones with lemon curd. I have tried making scones at home. Making scones is time consuming and mine never seem to taste good. My scones always come out like hard biscuits. I just need to know the secret to making wonderful tasting scones like the ones they serve at my favorite tea shop. I just want to have a at home tea party with delicious moist scones. I finally discovered the secret to making great tasting baked-from-scratch scones. I go to the store and buy Barista Break And Bake Scones. These scones are not only delicious but they are simple to make. The scones come in a package and are ready to bake. 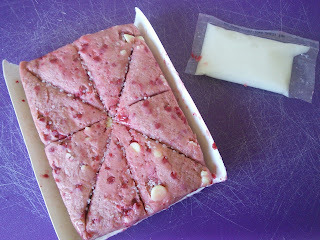 You just open the package and break the dough apart. You can bake all eight scones or as many as you like. Then you place the dough pieces on a baking sheet and bake them for 13 minutes. The result is yummy moist scones. The package even includes a package of icing to put on the scones. 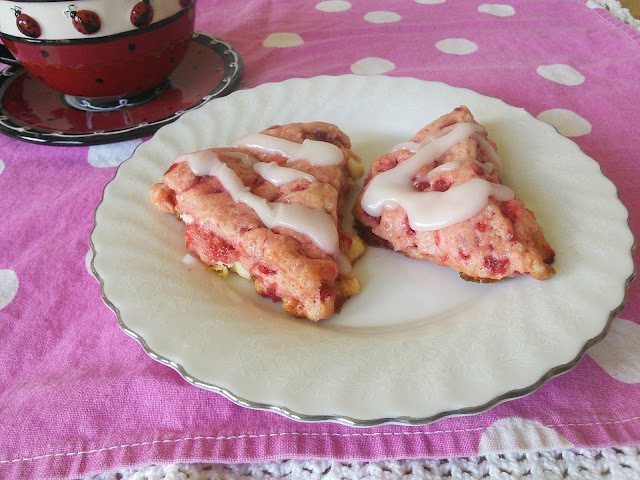 I just love how easy it is to make yummy scones for a at home tea party. 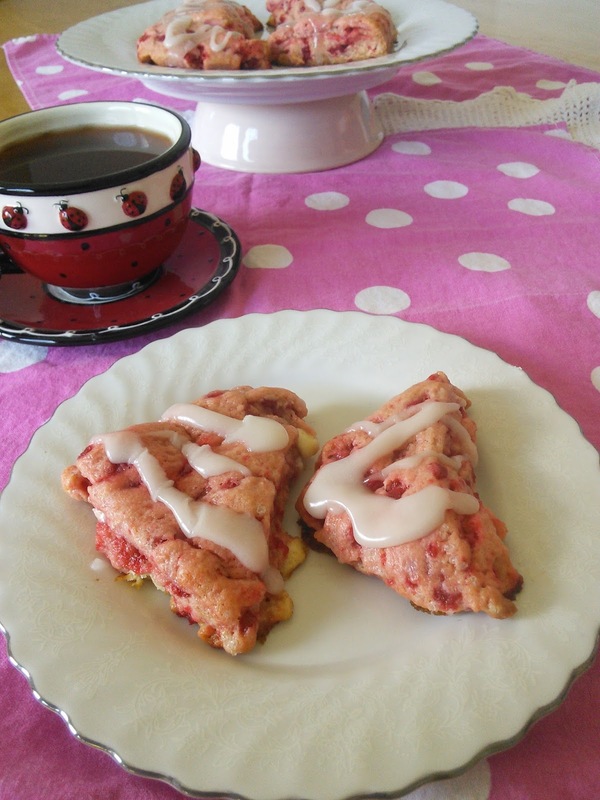 I made the strawberry and crème scones but these yummy scones also come in flavors like blueberry and orange cranberry. Now I no longer have to visit the fancy tea shop to enjoy yummy tasting scones. When I gave my boys a scone for an afternoon treat, one of them said “these are the best things I have ever tasted.” My husband even agreed that these scones tasted wonderful and he is not a scone fan. I guess the only scones he has ever had were the ones that tasted like hard biscuits. Now you can enjoy a fresh baked scone (Orange Cranberry, Blueberry, and Strawberries & Crème) from the refrigerator to your oven in less time than it takes to brew a pot of coffee. 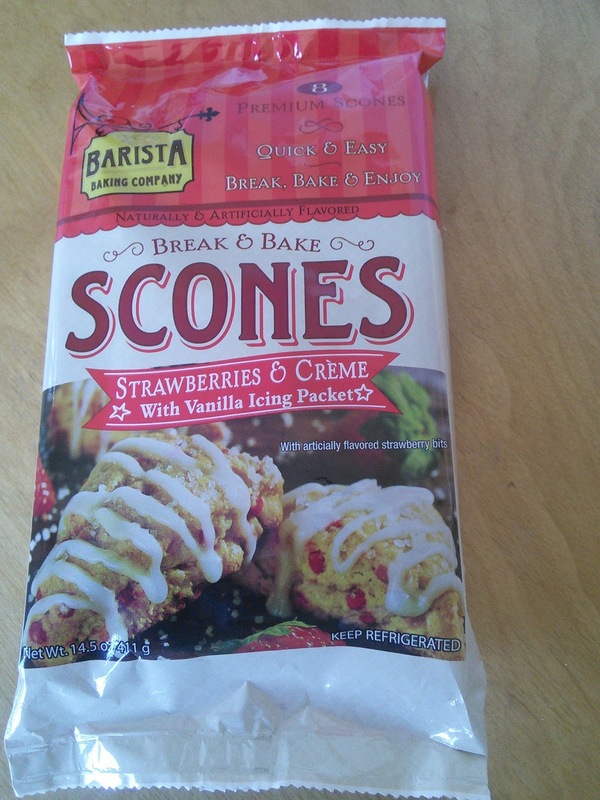 I found the Barista Break And Bake Scones at Walmart in the dairy section but click on this link to see where you can find these yummy scones. The color on these is adorable. Those look great. I'll be looking for them in the store. The scones look delicious! My kids would LOVE the blueberry ones! I will ave to pick these up next time I'm at the store. Looks delicious! Adding this to my weekend breakfast ideas list. delish!!! i will definintely have a look for these! Love that these look amazing and are so simple to make! I love tea parties too and these scones look like a perfect summer-time treat. I'll be on the lookout for them the next time I'm at the store. Yum! 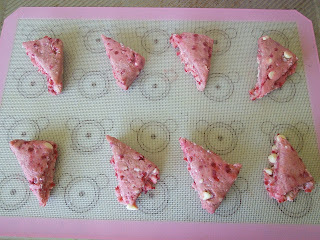 I love scones but they can be tricky to make, this makes it way easy! Plus they look super moist and amazing! I love me a tea party and used to host one every year. I've never tried to make scones but this seems like a method I can handle. This looks so good!! I love scones :) Now I will definitely go and find these! Yum! I love anything that is Strawberry and Cream, especially with Vanilla. These look amazing!